Contemporary apartments for those who love the buzz of the city but value peace and tranquillity too. 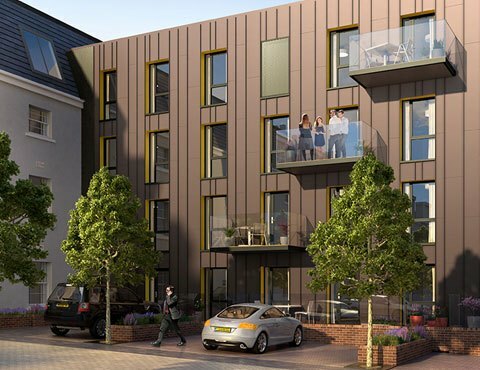 A second open day has been planned at Redcliffe Place, Change Living’s new development of city living apartments at Redcliffe Parade West, on Saturday 6th May. Redcliffe Place is a development of 14 two and three bedroom contemporary apartments, including a stunning three-bedroom coach house. Located in a quiet corner of Bristol that simply oozes character, this sought-after neighbourhood has been described as one of the city’s best kept secrets. It’s just a stone’s throw from the city’s iconic Floating Harbour and Michelin star restaurant Casamia, with Bristol Temple Meads Station and the city’s business quarter at Temple Quay a short walk away. It’s in the perfect position for those who love the buzz of the city but value peace and tranquillity too. The apartments have been lovingly designed to offer the highest standards in city living. The clean and fresh open plan living spaces benefit from full height windows that allow light to flow through the apartments, in addition large balconies provide stunning views across the city. With clean lines and light colours, the Porcelanosa kitchens feature Silestone work surfaces and splashbacks and integrated Neff appliances. Sleek Porcelanosa bathrooms and ensuites complete the natural modernity of Redcliffe Place living. Entering Redcliffe Place from Redcliffe Parade West, you immediately get a sense of the historic heritage of the neighbourhood but with a strong contemporary influence. The new development, with its striking façade, sees former business premises brought back to life, and provides a fascinating contrast to the Georgian architecture at Redcliffe Parade, where Change Living is also undergoing careful restoration of 16 period homes. Residents at Redcliffe Place will benefit from secure electronic gate access, with dedicated parking and cycle store. Change Living specialises in residential developments creating high quality, sustainable schemes with character. With an expert eye on interior design, combining contemporary flair with local influence, they aim to create homes that are a joy to live in.